In the previous post, we saw an impressive demo of a Bajiquan form. 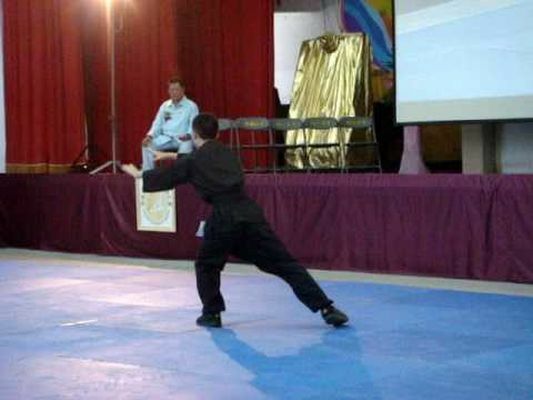 Bajiquan itself is reputed to be the martial art of choice of imperial and presidential bodyguards in China and Taiwan in the first half of the twentieth century. How might a fight involving bajiquan look like? In this clip Bajiquan Master Liu Lian Jun trades blows with a student in a simulated fight. 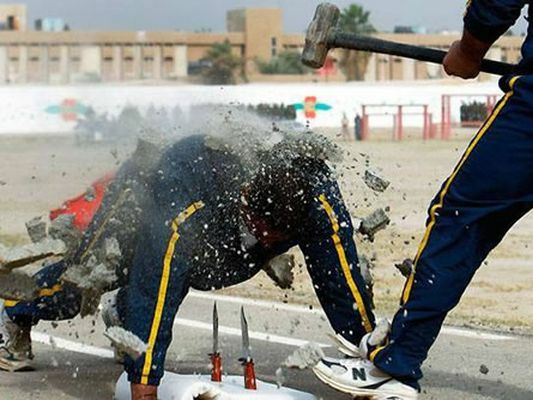 The video is blurry but the action is fast and furious. 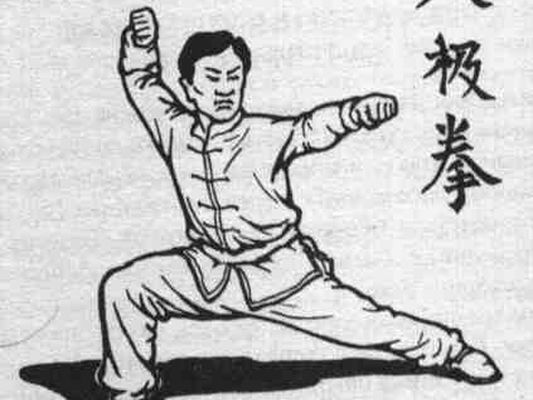 Bajiquan (Eight Polarity Boxing) is noted for his 'explosive' power. Watch as Master Liu Shang Peng expresses this explosive whole-body power in a crisp performance of Bajiquan's first form, the Small Baji. Interestingly, a study by Stanford University researchers has found that a Bajiquan master can muster some 400 lbs (180 kg) of force in his strikes. Imagine a very fat person jumping high up and landing on one knee on an opponent's chest / flank / head. The sickle is an ancient agricultural tool that is used throughout the world for harvesting crops. As with many agricultural tools, it can be weaponized, such as in the Japanese Kama. Much less well known is the Javanese Celurit as shown in this short clip. Its radically inward curved blade is in the antithesis of outward curved weapons such as the Persian Shamshir. While the Shamshir is meant for slicing, the Celurit is designed, in part, for raking. 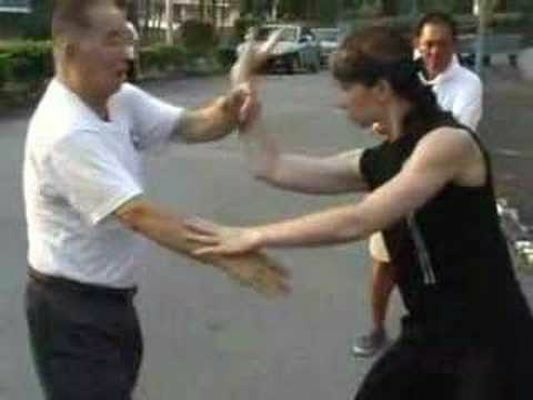 In Part 2, Sifu Oliver Grams shows more Chi Sau or Sticky Hand techniques including one-beat attacks, elbow control, redirection, angling, Chum Kiu pivoting and centre line attacks. Another informative, ground breaking clip on previously secret or lesser known techniques of Wing Chun. A young student of Grandmaster Wang Xi An rolls out a superb demonstration of Chen Taiji's opening set. Can this boy fight with what he demonstrates? Yes, if he has been taught key combat principles. As you can see in the video, the young lad can already express focused power. He just need to strike at the right places to be a handful for even semi-trained adults. It can be easy and yet very hard to teach a child, kudos to Grandmaster Wang for having taught a young boy to this level of fluency, it must have required a tremendous amount of attention and patience. 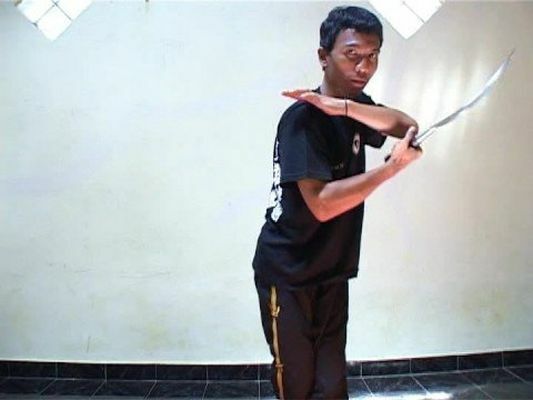 When one thinks of Hakka Kung Fu, one normally associates them with seemingly 'hard', ferocious styles like Southern Praying Mantis and Pak Mei. 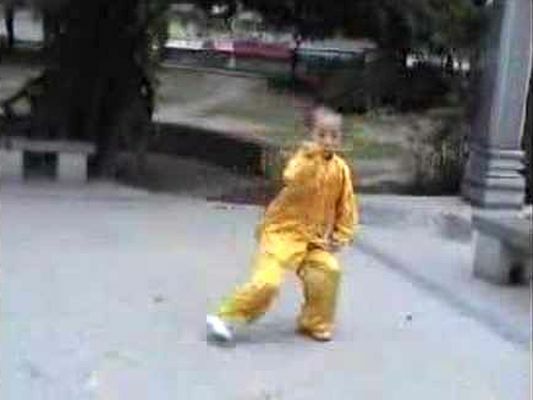 And when one thinks of the 'softer' practices of push hands, one thinks of Tai Chi Chuan. But there is a 'soft' Hakka art which practices push hands like exercises.. I Liq Chuan (Mind and Strength Fist) founded by Grandmaster Chin Lik Keong of Malaysia is an amalgamation of Hakka and Northern arts. In this clip Grandmaster Chin explains the finer points of what is termed as spinning and sticky hands in I Liq Chuan to Daria Sergeeva, an I Liq Chuan instructor from Russia. Note Grandmaster Chin's gentle instruction (in Hakka) and the importance of fine details in being able to uproot an opponent. 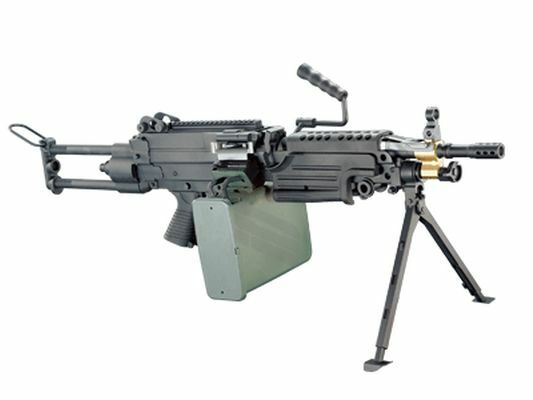 Enjoy our two-video post on automatic gunnery.